My husband is a licensed professional counselor, and people are often surprised that he doesn’t tell me anything about their problems. He never even mentions their names to me. If someone calls the house, he goes upstairs to the bedroom so he can talk in private. He is a safe person to confide in. 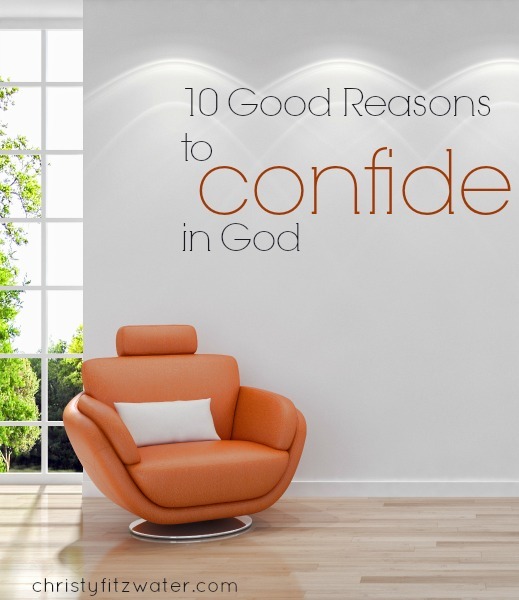 And I thought maybe you would be encouraged to remember God has sent His Spirit to us as a counselor who wants to give us more life than we ever could have imagined. He can help. He’s rich and powerful, so he has every resource you could possibly need. He can work externally in relationships and bank accounts. He can heal bodies. He can actually get inside your soul and make necessary changes. « Who Is God When Your Heart Is Heavy? Love it Christy! How timely for me. Appreciate those words. I’m so glad, Tammy! Thanks for the note. Amen and amen! Thanks for this reminder today.